Between the clouds I was able to capture two overlapping images of the Moon at the prime focus of an f/10, 5" Maksutov with a Pentax K-x DSLR fitted with an IR/UV cut filter. The images wer combined into a mosaic with Microsoft ICE, a free image mosaic making program program. Rhodri will return next session to continue the story. 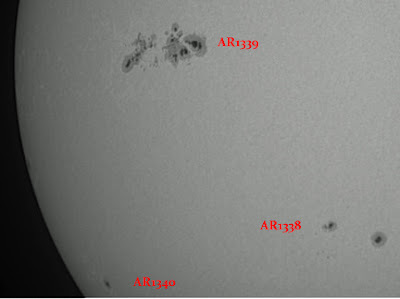 A Baader solar filter was used for the solar image. 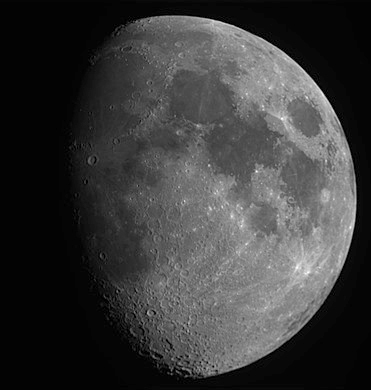 A Pentax K-x DSLR was fitted with a x2 Barlow and 13 overlapping images were captured of the 87% waxing gibbous Moon using Barlow projection with an 5/10, 5" Maksutov. 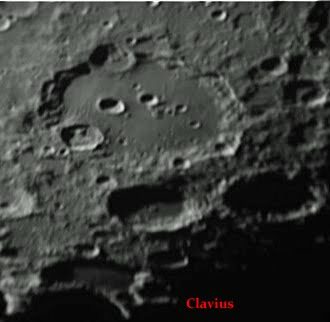 The 'lucky Imaging' technique captured many craterlets on the floor of crater Clavius. 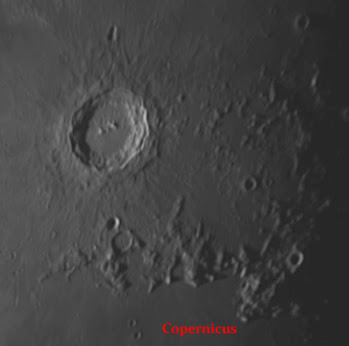 Jupiter was imaged with a Philips SPC880/900 and a x2.5 Barlow. The best 800 frames were stacked. Two barges are visible in the NEB.